As wilder weather, droughts and scorching sun make it harder to maintain natural grass fields, some jurisdictions are looking to artificial turf for more reliable playing surfaces and more usable days. Artificial turf is also used for all-season play indoors. It may not be all fun and games, however, as highlighted most recently in an apparent cancer cluster among soccer goalies. Among 27 players with cancer, 22 are goalies. Diving for balls, they breathe and ingest considerably more rubber crumb than other players. 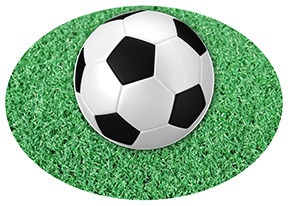 The US Environmental Protection Agency found that artificial turf contains toxic metals such as lead, cadmium and mercury. Cancer-causing and otherwise toxic chemicals can dissolve in rainwater as well as off-gas, especially in the sun. The Centers for Disease Control and Prevention reported potentially worrisome levels of lead in dust on older fields (only lead was measured). A recent review acknowledges toxic hydrocarbons and metals may enter the air and water from artificial turf, although levels vary widely and are sometimes comparable to other sources of urban pollution such as from vehicle exhaust. Tire recycling is improving rapidly, as rubber is incorporated in solid, durable products. Over time, the crumb ages and forms dust that is more readily inhaled, and artificial turf fields must be renovated and replaced, with old materials not necessarily being recovered.